Generally speaking, when we become a parent we are ready and raring to teach our children everything that we feel they need to know about the world. Filling their little minds with our values and the skills that will help them go on to lead their own lives, is something we instinctively assume will happen. It's our right to do so. We expect it and we look forward to it. On the day that I was told my son Charlie had autism, that "right" suddenly became so very hazy. I no longer had any idea how, or if it would even be possible, to pass on anything to my child. In that moment, I could never have imagined that I'd be sitting here four years later feeling the way that I do now. Charlie, despite being non verbal for the majority of these years, has taught me more than I could ever have anticipated. I feel like being his mum has quite possibly given me more of an education than all of my time in school or university. And it's an education about life, about love, about hope and about perseverance. And with all that being said, he's the greatest teacher I could have ever asked for. It's the truest statement in the world that when you first look at your child it's a love like you've never experienced. And that love grows deeper with each passing day. It's innate and it's so very special. Loving Charlie has never been difficult. But can you ever go on to love the autism? Although it seems unlikely, the answer is actually yes. Because the autism IS a part of him. It's what makes him who he is. So whilst I can be angry and upset at how difficult it can and does make things for him, I still find myself in a position where if I took it away, Charlie would be a totally different little person. I was lucky enough to find a therapy program in America, The Son-Rise Program®that helped me to develop this further. So much of my research had led me to people and places that seemed to want to train the autism out of Charlie and for me, it just felt wrong. The Son-Rise principles are based on love and acceptance and the idea that by joining Charlie in "his world" it encourages him to want to be a part of ours. It was one of the best decisions I have made in my parenting journey so far and not only did it help Charlie, but it gave me the opportunity to also work on myself and grow as a person. I remember stating that my biggest fear was that Charlie may never be able to talk. I waited four years to hear his first proper word. I would've waited a life time if that's how long he needed. It was one of the most precious moments in my entire life. Now Charlie has a vocabulary of around 100 words. Sometimes they are in single form, sometimes he puts two or three together. Sometimes I hear the same word over and over again all day, but how can I complain about that when I waited so long. When a doctor tells you that your child may never speak to you, it's heartbreaking beyond anything I can put in to words. Once I had gotten over the initial pain I kind of felt angry that someone else had put a limitation on him. So I figured I had a choice to make, I could either listen to them and accept that this was our future, or I could believe in Charlie and just keep trying. And here we are. I never thought of myself as a patient person, I still don't in most scenarios - traffic makes me insanely furious for example. But where Charlie is concerned and the milestones he will reach...... we have all the time in the world, all the time he needs. I almost burned myself out worrying about his future, our future. What we would or wouldn't do. And then I realised that I am spending time fretting about a future that I have no idea about, that may not even exist. Our time here isn't guaranteed and if the past couple of years have taught me anything it's that life deals out plenty of curveballs. So my time is better spent giving Charlie exactly what he needs, right now. And that is my patience. Knowing that there is something "wrong" with your child feels very similar to those dreams you have where you're falling. There's this constant lurch in the pit of your stomach. There's nothing to hold on to, nothing to reach for. And you're aware that you're falling, it's almost happening in slow motion. But you can't stop it. You just close your eyes and hope you'll wake up before hitting the bottom. It took me a long time to wake up. I was trapped in that painful plummet for a very long time. And the pain is excruciating. Not physical of course, but if a heart really could break, I imagine this is what it would be akin to. I danced on the edges of depression. I think if I had gone just a little bit further I may never have found my way back out. I was scared and despite feeling lonely, I didn't want to complain to people. I didn't want them to feel pity for me, for Charlie. So I put a plaster over it, and for a while that did its job and kept the "wound" protected, clean, safe. But it was only when I started to face my fears head on that the wound began to heal. So whilst pain is horrendous. It is possible to grow from it. I look back at those days and wish I could tell myself that it's all going to be ok somehow. I can't and if I had, I would never have found the strength I have now from surviving the struggle. And I regularly remind myself that Charlie was untouched and unscathed by any of this. He continued to bloom like the rare flower that he is. Never questioning why it was taking longer, just trusting in what was happening and knowing I loved him regardless. So the pain not only made me stronger; it made what we have stronger. Maybe this all sounds wishy washy. And that's ok because this is our journey and no-one else could possibly understand without living it for themselves. And maybe people won't see any of these things are "lessons learned," but I feel like Charlie was a gift to me. He was meant for me. Meant to help me learn and grow and to become the best kind of mama that will help him to live his best and happiest life. And I suppose the best way to wrap this up is to consider the fact that 4 years ago, with Charlie's diagnosis, I thought my life was over. A special needs child is not a death sentence for your dreams or your future. If you take away just one thing from this post, please let it be that. For that is the most important thing I have ever learned. Beth Anne is a 35 year old Photographer, Lifestyle and Mental Health Blogger based in Derbyshire, UK. 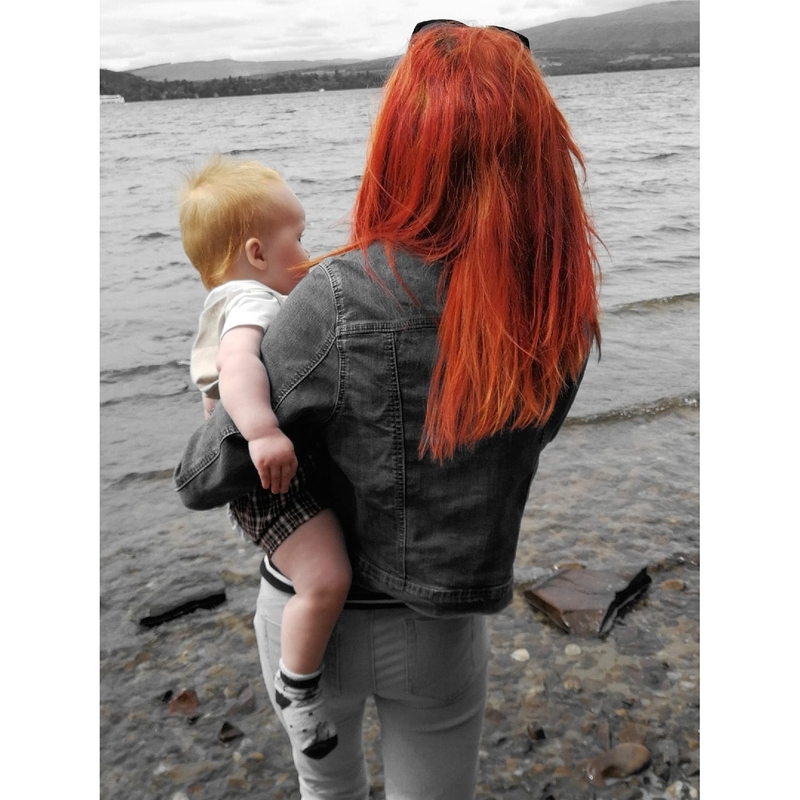 Beth Anne writes freely about her experiences with mental health and raising a child with autism in the hope of helping and inspiring others.